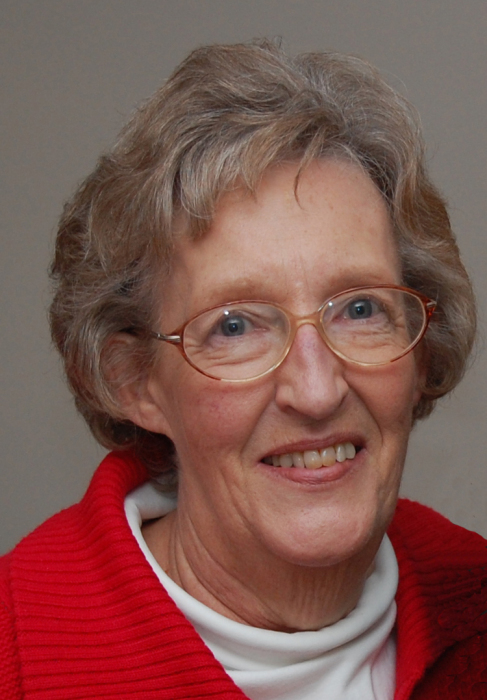 Catherine (Healy) Marchok of Lower Makefield died on Tuesday, April 9, 2019 at home surrounded by her loving family. Born in Altoona, PA, “Kay” was a daughter of Dr. Timothy and Catherine (McLaughlin) Healy. She had been a resident of Lower Makefield for 54 years. Kay was predeceased by Robert P. Marchok, her husband of 52 years. She is survived by four children: Therese Taylor and her husband Warren of Newtown and their children Warren Paul and Nicholas; Maureen McCann and her husband Jeffrey of Austin, TX and their children Sonya and Dema; Christopher Marchok and his wife Victoria of Washington Crossing and their children Maggie and Hannah; and Timothy Marchok and his wife Michelle of Yardley and their children Travis and Shane; brother Timothy Healy of Bensalem; sister Susan Healy of Charlotte, NC; brother-in-law, John Marchok and his wife Patricia of Phoenix, AZ and brother-in-law, Edward Marchok and his wife Jean of Latrobe, PA.
Kay graduated from the Pennsylvania State University with a BA degree, and from Drexel University with a Master of Library Science degree. She was employed for 29 years by Mercer Medical Center/Capital Health System where she was Director of the Health Sciences Libraries. Kay was proud of her Irish heritage and traveled to Ireland three times where she met with many of her Irish cousins. Kay and Bob also traveled to Hawaii, Alaska and several Caribbean Islands while on cruises. Brigantine Beach was a life-long favorite, as was playing bridge and reading. Her greatest joy and happiest moments were those she and Bob shared with their children and grandchildren. Friends may call on Friday, April 12th, 2019 from 7-9 PM and on Saturday, April 13th from 8:30 – 9:30 AM at the J. Allen Hooper Funeral Chapel, 41 W. Trenton Avenue, Morrisville, PA.
A Funeral Mass will be celebrated on Saturday, April 13th at 10 AM at St. John the Evangelist Catholic Church, 752 Big Oak Road, Morrisville, PA. Committal service will follow in Washington Crossing National Cemetery where Kay will be reunited with her beloved “Bobby”. Kay’s family thanks the kind caregivers of Seniors Helping Seniors, St. Mary’s Home Health Care, and Jaime from Chandler Hall Home Hospice for their love and compassionate care.